We really had a great time and cant wait to get together again soon!!!! Not quite sure how to touch on the great time we had last night. We were blessed to have 24 adults and over 30 kids that had were either adopting or in the process of adopting from Ethiopia. Now that's not too bad of a number, considering it was our first one, and we're from a smaller area. As Jeff and I were setting up earlier that day I thought for sure we were over-planning. I pictured us having all these empty tables and everyone who did come whispering, "That's so sad, they thought people would really come!" So, we were so thrilled with the turnout. Mimi, the hero, brought tons of Ethiopian food. I think she had 5 dishes along with tons of injera. Misikir still loves it. I think he had 3 huge pieces of injera. At one point he asked me for more injera, chips, and a fork for his macaroni and cheese. We had a few families that we had never met. We thoroughly enjoyed getting to know them. Here's sweet Ruthie. How cute is she? She loves Mimi. Ruthie just came home about 6 weeks ago or so, so Mimi has played a key role in her transition as well. And Iris was in her glory with all her new "best friends from Ethiopia." Ask her where she's from and she proudly says, "Opia!" So funny. She had us cracking up more than once that night. 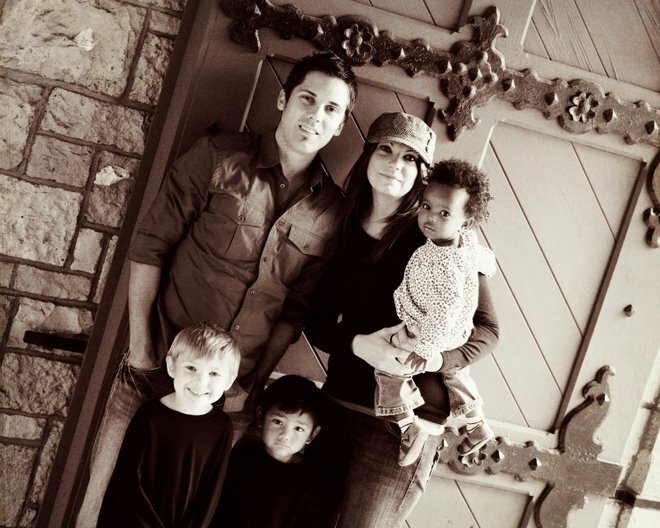 We had a time of introducing ourselves, telling where we were in our adoption process, and sharing how things were going. It was such an encouraging time. And all of the kids loved the cars. They drove and drove until the batteries were dead. But that didn't stop Yoni. He just got people to push him. I'm pretty sure he's explaining to Honna what she's supposed to be doing. Honnah just came home about 7 weeks ago as well. She was at the same care center as Ruthie. So amazing. It was Mimi's husband's(Will) birthday. So as is tradition with our family, we got a pinata. It was a big hit with the kids, to say the least. And I just know Will loved it. They all waited patiently for their turn. Kind of scary if you ask me...Steve: "Here, just let me put this hat over your whole face and spin you around...."
I really think Jeff gets into this even more than the kids. Here is Iris with her "new best friends." 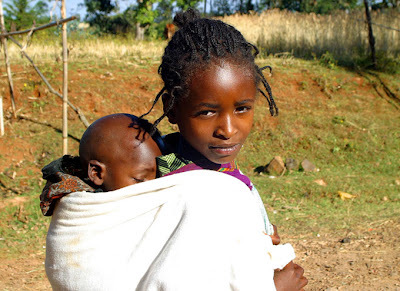 As were were praying last night she thanked God for her new best friends from Ethiopia, shockingly asking what their names were again, and then naming the princess on her nightgown Ruthie Honnah. Ruthie loved getting her picture taken. 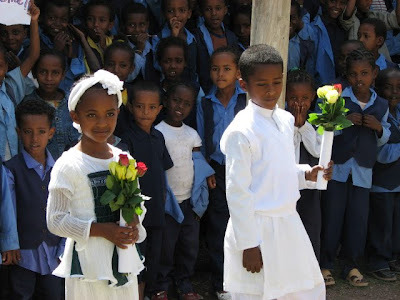 And here are the Ethiopian babes together. We're waiting for 5 more just from the families that were here. Can't wait to watch this group grow over the years! Will and Mimi. Seriously- angels. And miraculously, a group picture. Didn't think it'd happen. Thought a few may kill as we were trying to get it together, but so glad we did. Such a great night. Can't wait to watch how God blesses and grows this group. And I really wish I'd have taken a picture of our parents. We're so glad they came and helped out more than I can say! 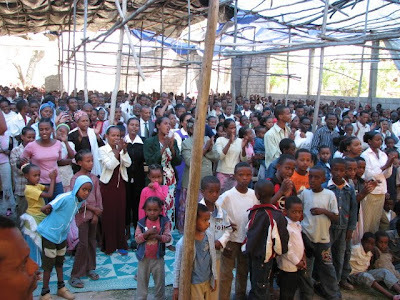 This is the church in Ziway Ethiopia that Gobena Coffee and our local Church are helping to support along with a school, Group homes, clinic and Soccer ministry. 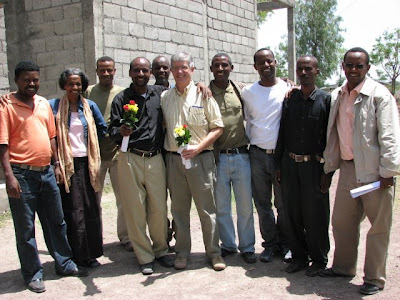 The pic right below is of the leadership of the church and Gary the missionary in the area. The following pics are of the church building, as you can see needs some work. We are so excited to be with these people one week from today!!!! Asking for prayers for good health and safety!!! Thank you!! 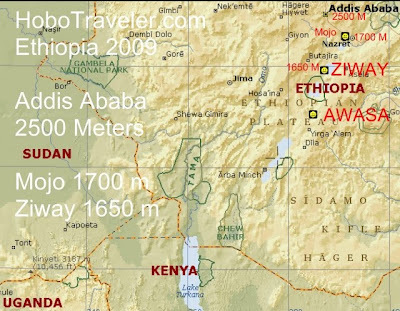 Steve and I leave a week from Thursday to head to Ethiopia for a week......Ziway Ethiopia to be exact...you can see it on the map right above . 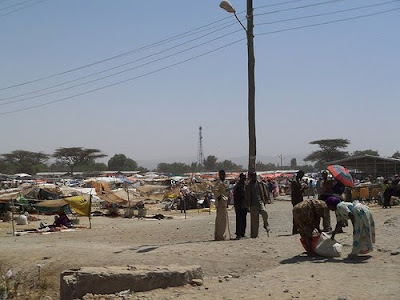 We will be going south of Addis. We are working with a community there helping out with building group homes, a school, a church, clinic and a soccer ministry. We are very excited about the project and can not wait to share with you when we return ALL the details.....YOU the Gobena Coffee Supporters are the ones making this happen and you are all doing great,but we could always use more subscribers and for sure we are going to need more to complete this project. So please spread the word about Gobena to your Church, work place, family and friends...we would greatly appreciate it. And if for some reason you do not like coffee, we have a place on our website for donations as well. 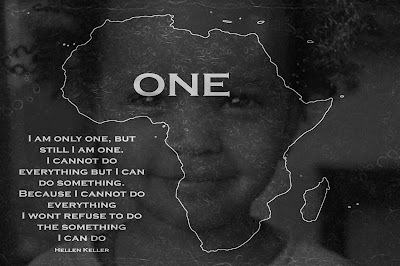 Thank you all for your kind heart and compassion for the people of Ethiopia...together we can help be World Changers!!!! I have attached our promo video below and ask that you spread the word as well as some pics of Ziway Ethiopia where we will be heading in a little over a week!!! Please pray for safe travels!!!! I can not believe that my baby boy is in kindergarten!!! On his first day of Kindergarten!!!! He was soooo excited!! Finding his cubby...Oh how exciting!!!! He had a great day and can not wait to go back.....he said it was sooooo FUN!! When I went to pick him up he was skipping out the door. thanks so much for sharing things. this pic of eva inspired me! 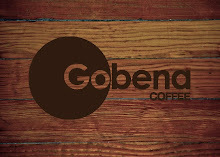 Gobena has a promo video......check it out and please spread the word on all your blogs!!! Thank you! The Pastor of our partner church in Ethiopia has been gathering boys to play soccer. After the soccer games, he is sharing the Gospel with them. Almost all the boys are responding to the Gospel. Now they would like to keep up this program, and follow up with them. They need soccer jerseys for the kids to wear, and it would be a big encouragement for their program, and other kids to join. Our goal is to get 30 uniforms donated for the program. 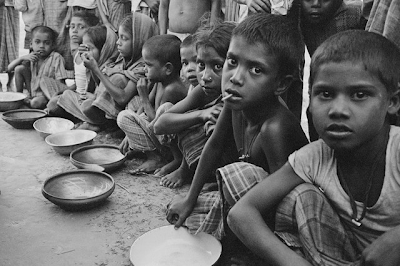 All contributions will go directly to this program. We'll post pictures of the kids with the uniforms once we reach the goal. New website.....check it out out gobena.org let us know what you think? Also why you are there you can subscribe and have Gobena delivered right to your door monthly!!! Help change the world one cup at a time!! !